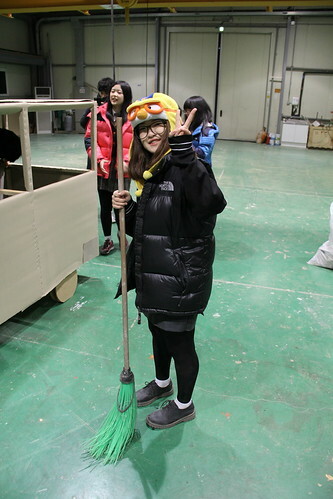 Kombi 2 was a workshop with school youth from Seoul at Seoul Art Space Geumcheon (27th December 2012, Seoul). 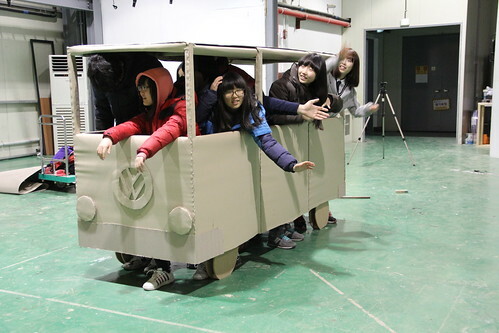 Me & Mar Canet were re-producing with kids our Kombi but only with wood and card board, instead of knitted dress. Why? Because after seeing our knitted Kombi, they wanted to make one by them selves.